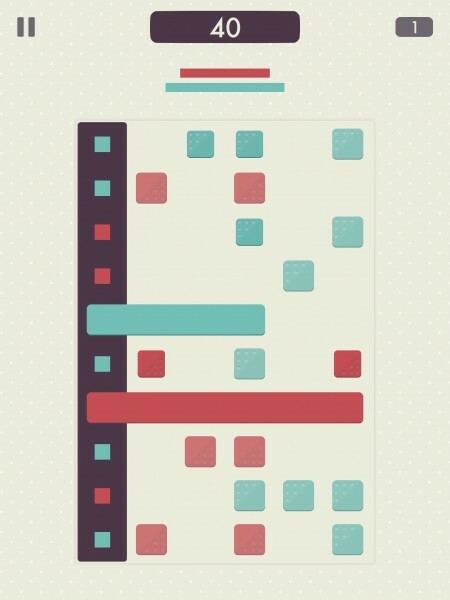 Ettetetta (Free for a limited time, normally $0.99) by Artyom Shumilov is a unique puzzle game that stands out from the crowd by incorporating game mechanics we've never seen before. 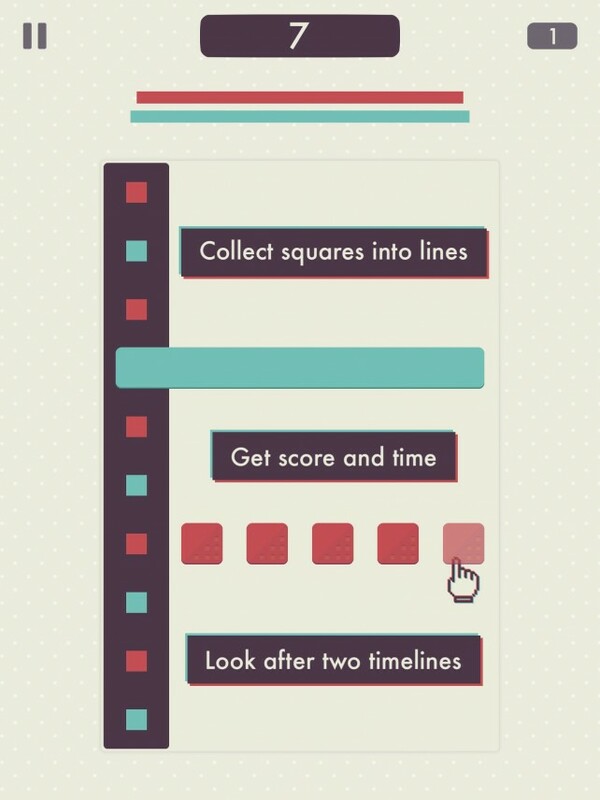 The puzzle games category on the App Store invites hundreds of newcomers each day, but every once in a while, a real game-changer comes along, and as punny as it sounds, it's the truth with Ettetetta. Let's have a look at why that is. The rules in Ettetetta were difficult for me to grasp at first since the game is so different from anything I've seen before, but after going through the tutorial twice and playing for a few minutes, I quickly got the hang of it. 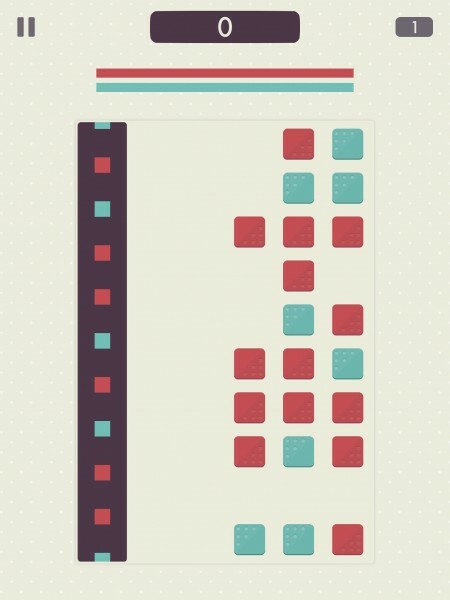 On the left side of the screen, red- and blue-colored squares descend at a slow pace, while the board to the right has a random arrangement of the same kind of squares. Moves are made by making two lines, which can be done by tapping on any square from the board when it's in-line with its same color on the left. This will extend a line connecting the two squares. 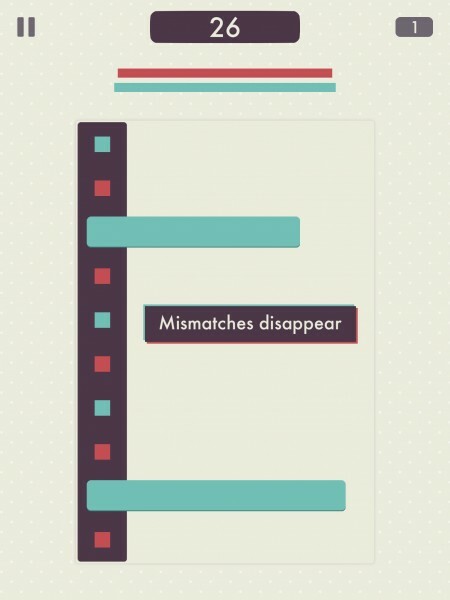 Once two lines are made, the squares matching the color of each will fall into their respective lines and get “caught” by them. Squares of the opposite color or that are lying too far to the right will be discarded. For every square you “catch,” that's one point. This may seem a bit confusing at first, but once you realize that forming the first line stops the movement, deciding where you place the second gets easier. Again, just tap on a square from the board on the right, and it will extend a line from right to left connecting it to the matching square from the descending line. 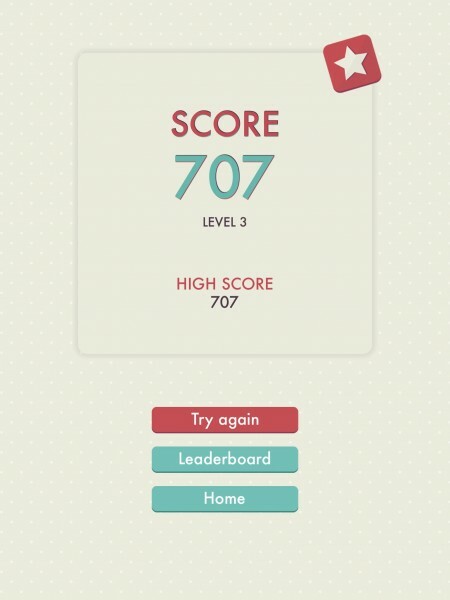 At the top of the screen just below the score, you'll notice red and blue meters. 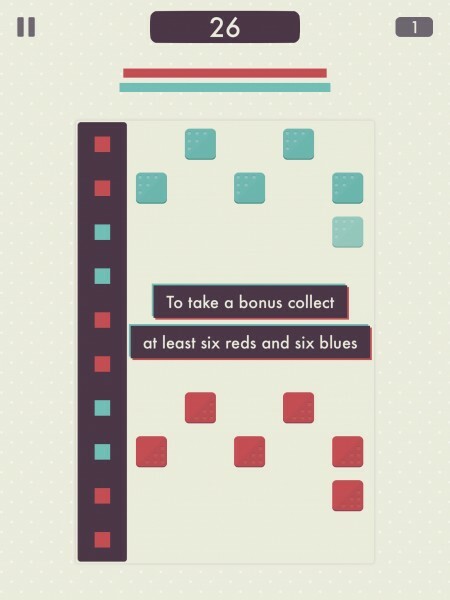 These gradually diminish over time, and as soon as one runs out, it's game over at however many points you have. To prevent these lines from shrinking all the way, what do you do? 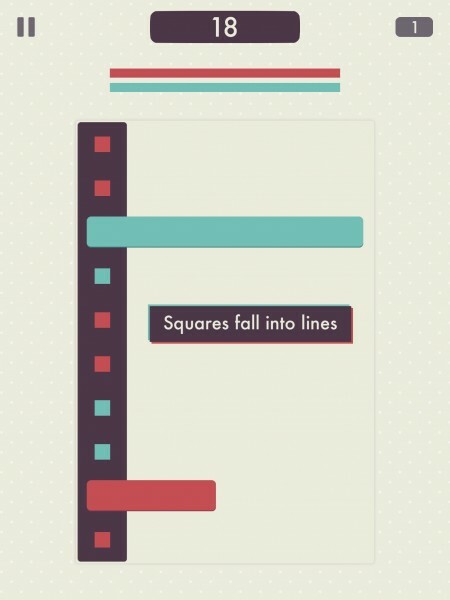 Just keep “catching” squares with your lines, of course. If you need to give my simple breakdown of the game another read, I totally understand. It's a lot to think about at once, and in a way, that's what makes Ettetetta so engaging. 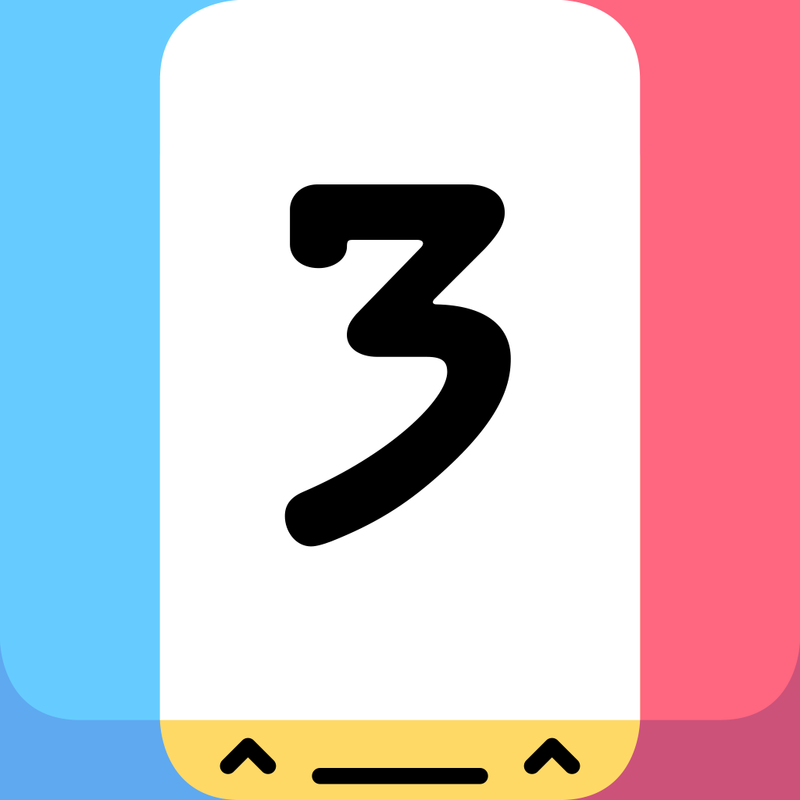 Combined with the amazing response you get from the polished graphics and sounds (think of what we saw with Threes!, but without faces), Ettetetta will make you want to play over and over again. 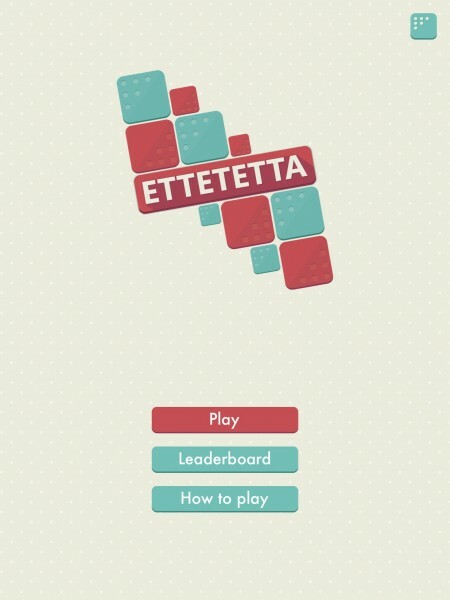 Since it won't cost you a dime if you're quick enough, I highly recommend checking out Ettetetta regardless of whether you typically play games on your iOS device or not. You'll find nothing other than an enjoyable puzzle experience with this game, meaning no ads or skimpy in-app purchases. 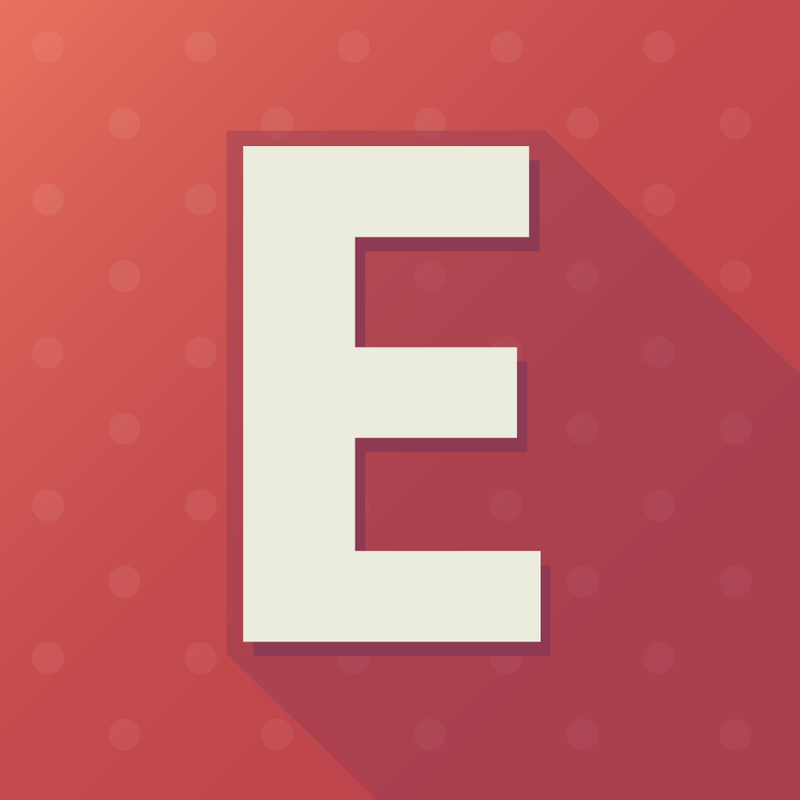 The universal Ettetetta can normally be found on the App Store for $0.99, but as a launch promotion, it will be free for a limited time.